Normal to Dry will choose our SIMPLY line. Also great for younger users or adolescent skin. Naturally restores the skin’s pH balance. Oily to Combination skin will choose our BEEUTIFUL line. 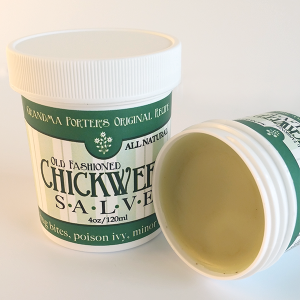 Also helps soothe the symptoms of acne, eczema, and psoriasis. Great for teenage breakouts! 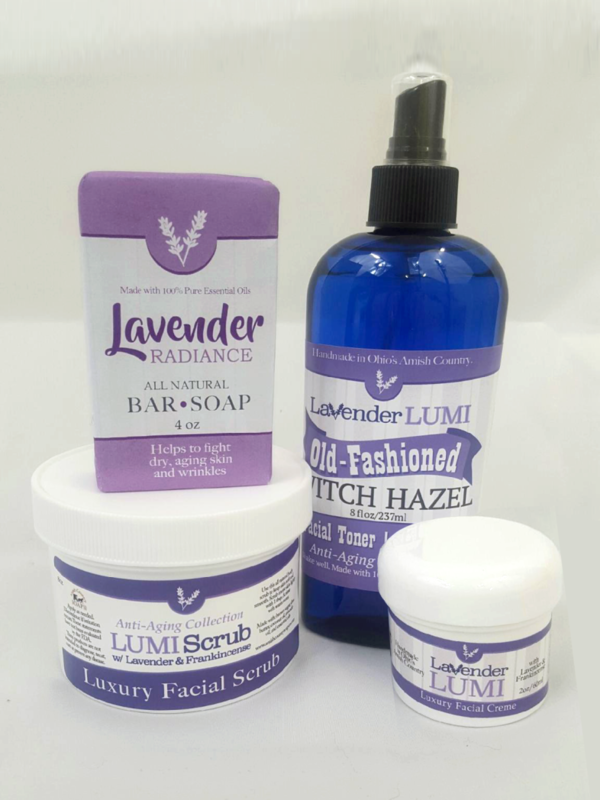 Mature or Sensitive skin will choose our LAVENDER line. Enriched with frankincense essential oil to help soften fine lines and wrinkles and renew skin tone and texture. 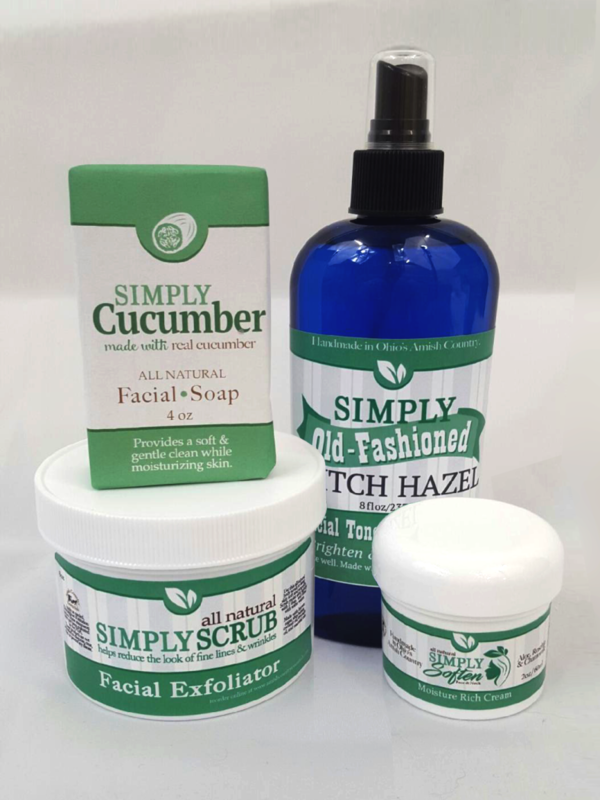 All of the Spring Skincare Challenge Kits come with Bar Soap, Salve (or) Moisturizer, Exfoliating Scrub, and Facial Toner. Regular Retail price would be $38.00 – On sale for this challenge for just $24.99 – prices subject to change. Photos submitted at the end of the challenge must be clear, taken in good light, sans filters, and unedited. All Photos and product reviews submitted by participants will become property of the Amish Country Soap Co and may be used in additional marketing materials. Complete and detailed directions for product use will come with your kit. Participants must agree to use products, as directed for the entire 4 week challenge. Please try to approximate the same lighting and photo framing conditions as the original before photos for best results. Instructions for where to send your photos and reviews will be included in your kit. After your photos and reviews are returned and processed you will get your next month’s supply for FREE, sent directly to your doorstep! With shipping and handling that’s a $45 dollar savings! 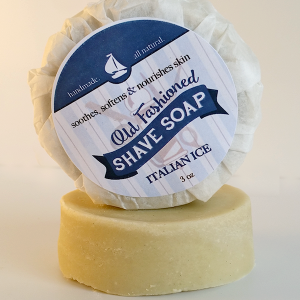 The Italian Ice shave soap is a great way to get a smooth close shave. Leaves the skin clean and soft. Used properly and this shaving disk will last over a year. You get only the shaving disc and not what is pictured. Just wet the brush, swirl on the soap and apply in circular motions on the face. 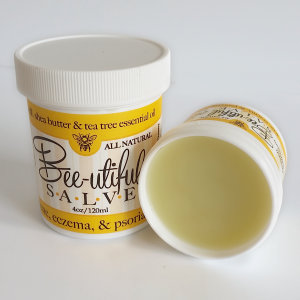 Our #1 selling Bee-Utiful products are made to help with eczema, psoriasis, acne and rosacia. 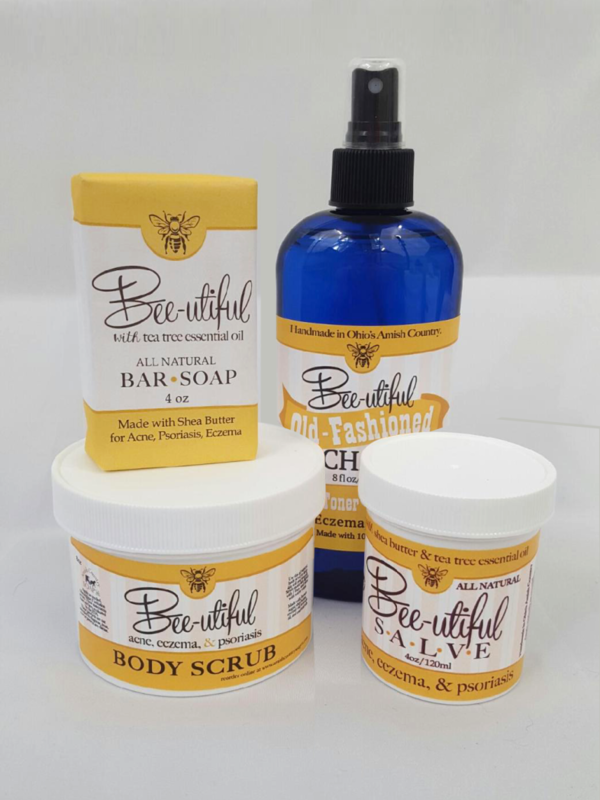 Our customers through testimonials and also clinical trials have said that Bee-Utiful performs better at controlling the skin issues above than any other product they have ever used, and the best part is IT IS 100% ALL NATURAL!!!!!! 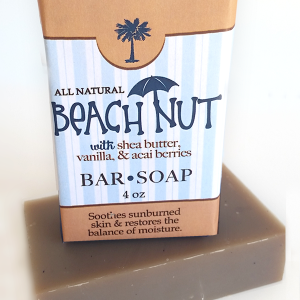 So get your soap, shampoo and salve and take back your skin. Our favorite question is “Does this really work?” then the explanation we have been to the dermatologist and we have spend hundreds of dollars on this creme and that creme, or this steroid, or face wash. Our answer is this, We have been selling Bee-Utiful for over seven years and this is our number one selling product. Not only do we sell thousands of these soaps, salves and shampoo’s, but our customers buy them by the dozens, half dozens and more. So, why do they continue to buy so much if it doesn’t work? You be the judge.